Decorating the kids’ room can be pretty tough. It’s the room the kids will spend most of their time in so it needs to be comfortable and nice, but it also needs to have potential to be easily changed and adapted as the kids grow up. It’s also important to use this room to express your style and your aesthetic preferences. It should be your kids’ room both in terms of the look and the furniture, but it should also fit in with the rest of your home. Homeowners usually don’t use paint to its fullest potential. It’s usually only one color for the walls and possibly another, less bright for the ceiling. This is also the case in kids’ rooms – they are usually painted using the child’s favorite color and the décor is adapted to it. Try to be more creative with the use of paint. Start by using more than one color for the room and let the design come from the way different shades work with one another. It’ also important to have in mind that even one wall can be painted with more than one color (which is almost always forgotten). There’s one thing you can’t do anything about: kids’ rooms are going to be messy. That’s just a fact and it’s going to be the case even as the kids grow up. One of the ways to mitigate this is to have a designated toy corner that will make cleaning up easier for both you and the kids. It could be a literal corner, or you can get creative with it and build a little shelf that you can decorate any way you like. The kids can arrange their toys on it, and more often than not they might even make a game out of it. The furniture should be chosen based on the way the room is used. 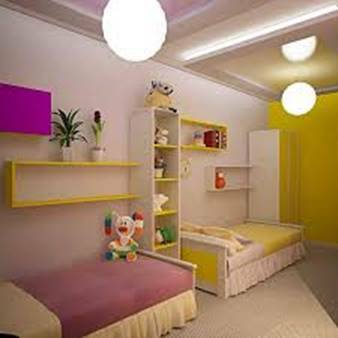 Its arrangement needs to create a flow within the room and leave space for the kids to play. This space is usually created by a few large and useful pieces of furniture, such as beds and closets. It’s also a good idea for the room to have some comfy couches for sleepovers. One of the hardest things about decorating kids’ rooms (or any room for that matter) is to create diversity without making the room appear crowded or even tacky and disorganized. One of the ways of doing this is by using different patterns to separate the room into different areas, achieving a compact look. Using a variety of patterns and a variety of fabrics will make your room seem more fun and flamboyant and there’s no limit as to how much you can experiment and switch things around as your kids grow. Kids’ rooms don’t really seem like the place to decorate with artwork, but it’s a mistake not to do so. It’s where kids spend a lot of time, and artwork could be used to create a certain atmosphere and pique their interest in the arts while they are still young. Of course it doesn’t have to be high art. It’s perfectly fine to mix and match and to use photos and movie posters or even the kids’ own drawings. The main goal of this besides decorating is to expose the kids to artworks. Decorating a room takes time and money and once you’ve decided on the aesthetic you probably want to keep it for a while and make only small adjustments when needed. This may be the right way to go about the rest of your home, but it isn’t suited for the kids’ room. The room should have its own look, but it should be a look that can be easily changed and adapted as your child grows and gains new interest. It makes it harder to plan so you should always be careful not to overspend but it’s imperative to have room which you can easily change. 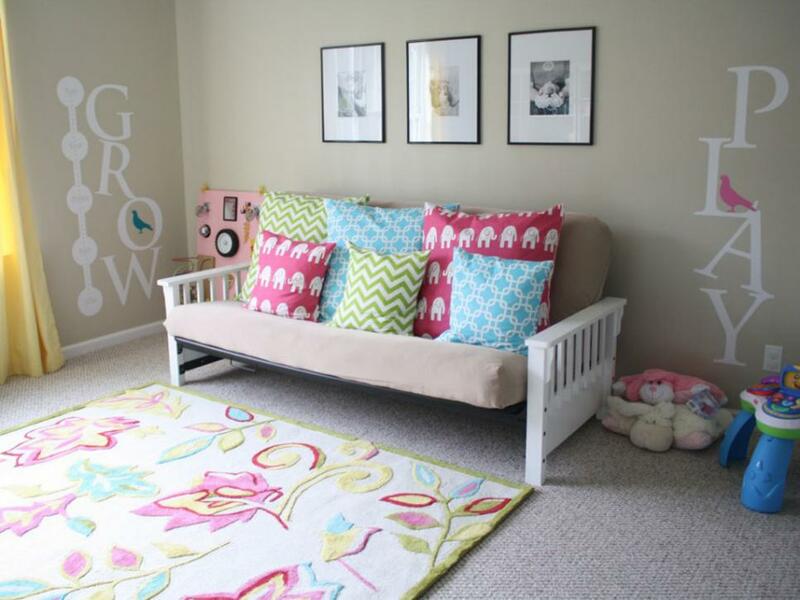 Decorating a kids’ room should be about making it best suited to their age and interests. It’s a fun and creative project in which older kids can even be involved.